Welcome to the Spring Edition of “In Case You Missed It”! Now that we’re clearly in summer, I thought it was time to do the round-up! Guerrilla Storytime round-ups/notes: MLA’s Spring Institute and British Columbia Library Conference. 4.7.14 Lisa at Libraryland has a truly enviable project going on — early literacy kits. I am so excited for her and her patrons — what a great idea! Also see: round two. 4.8.14 Brooke at Reading With Red updated part of her library’s section to include an early literacy alphabet station! 4.21.14 & 4.22.14 Marge and Brooke tag-teamed and wrote a two-part series on how they updated their early literacy area. 4.24.14 Lisa at Libraryland completely revamped her Parent/Teacher collection and I love it! 3.11.14 Bryce at Bryce Don’t Play has the best, most amazing tribute to moving-and-shaker Cory for her awesome idea of Storytime Underground and Guerrilla Storytime. Guerrilla Storytime is my ABSOLUTE favorite part of conference now! 5.13.14 Marge reminds us to nurture ideas and each other. 3.20.14 Marge at Tiny Tips for Library Fun and the rest of the amazing staff members at La Crosse Public Library celebrated the THIRD BIRTHDAY of “1000 Books Before Kindergarten” — their community has read 257,200 books!!! 3.25.14 Meg at Miss Meg’s Storytime hits a slam dunk (in my opinion) with her Pete the Cat party! I’m toying with the idea of doing a book celebration once a month in the fall and you can bet I’ll remember this Pete party. 6.10.14 Brooke at Reading With Red writes about the biggest baby shower ever: a community outreach program. I can’t even believe the awesomeness that is going on here. 6.11.14 Angie at Fat Girl, Reading knocks everyone’s socks off with her description of her library’s Music and Movement program — aka BABY DANCE. Thrive Thursday round-ups for March, April, May, & June! 3.13.14 Lindsey at Jbrary hosted a spring break Superhero Training program! For everyone planning to do the 2015 CSLP theme, bookmark this now! 3.31.14 Angie at Fat Girl, Reading completely revamped her library’s American Girl program and she tells you how in a follow-up post! 4.1.14 Marge at Tiny Tips for Library Fun shows us how an Elephant and Piggie party is really done! 4.7.14 Anne at So Tomorrow’s Dr. Seuss celebration is absolutely wonderful and creative and I just love it so very much. 4.7.14 Abby at Abby (the) Librarian has some weather science in her Preschool Lab. 4.8.14 Lisa at Libraryland has a way cool and inventive science program — Peep Science. 4.22.14 Abby at Abby (the) Librarian is also growing things at Preschool Lab! 6.10.14 Abby at Abby (the) Librarian has one more Preschool Lab for us this ICYMI — ocean animals! Some of my favorite storytime themes to pop up lately: socks and shoes (Meg), jungle (Anne), funny stuff (Lindsey), the 5 senses (Mollie). 3.10.14 Abby at Abby (the) Librarian has you covered if you never received formal storytime training. She’s giving you all the information you need to help yourself in one post! 3.26.14 Marge at Tiny Tips for Library Fun is again singing the praises of storytime breaks. All I can add is: amen! 4.10.14 Lindsey at Jbrary has her favorite 2013 storytime books! 4.15.14 Katie at Storytime Secrets wrote a fantastic series on music in storytime: Recorded Music, A Cappella Music, Live Music, Saying Hello, Extension Songs, Stretching and Movement, & Saying Goodbye. 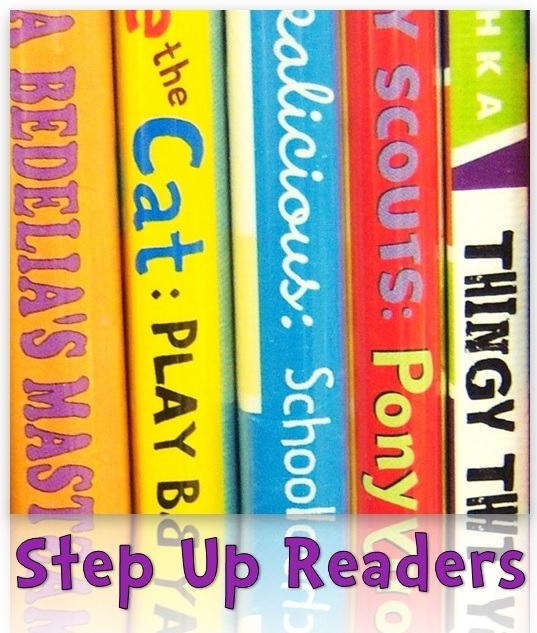 4.17.14 Dana at Jbrary has a thoughtful post all about evaluating storytime. This was especially timely for me since I was going through my first round of program evaluations when the post popped up in my Feedly. 6.4.14 Kelly at Ms. Kelly at the Library has some awesome tips and tricks for baby storytime! These round-ups are great. Thansk! Thanks for the shout-out and the amazing roundup! I had a great time surfing through everything. I especially enjoyed watching and listening to a person performing action songs. She was from Intellidance. I believe her name is Laura? She explained audiation and went on to demonstrate an animal song with gestures. The long and short is I cannot locate the site to revisit and listen to her songs so I can take them to our storytime to share. She did Slippery Fish and Clap Your Hands with her daughter, too. Excellent presentation …..